This review is contains content for readers ages 21+. Please drink responsibly. I love watching movies. What’s even better than watching movies is watching movies with friends and family. As Tinseltown and movie-fans prepare for a star-studded Oscars night, we’re preparing our own “red carpet” event where we’re going to have some good snacks, good drinks, and good company. To help make a recent night an awesome movie night, I stocked up on chips, Wholly Guacamole and Wholly Salsa, and Daily’s Cocktails. 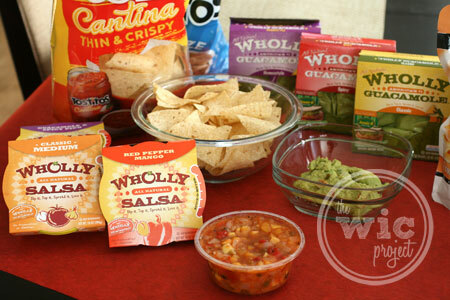 A table full of deliciousness – Wholly Guacamole and Wholly Salsa. I’m not even the hugest guacamole fan but found myself going back for seconds and thirds with the Homestyle Wholly Guacamole. You can actually see chunks of avocado, onions, and the other ingredients. Tip: the thin tortilla chips won’t stand up to the thick guacamole. Use thicker tortilla chips so you can get a big scoop. 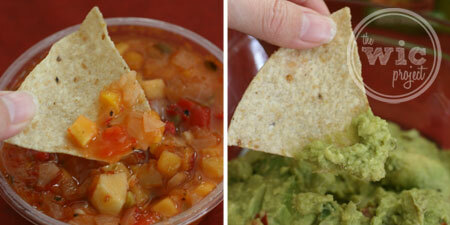 The Wholly Salsa Red Pepper and Mango salsa completely surprised me. It has a subtle sweet and spicy that totally works together. I quickly became addicted to this unique salsa flavor. 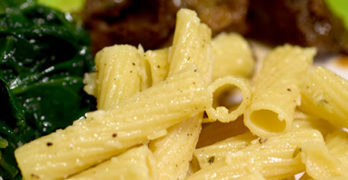 Again, I loved the chunks of ingredients – mangoes, tomatoes, etc. that you could see in the salsa. All of the salsas looked fresh and won fans. Do you have favorite Daily’s Cocktails flavor? Of course, once you start having all of these bold and tasty snacks, you need to wash it down with a good drink. We first discovered Daily’s Cocktails last year and have been buying them ever since I found them at our local Walmart. 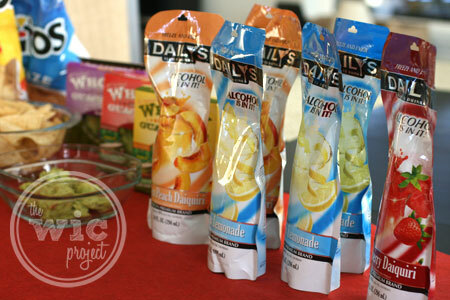 Daily’s Cocktails are frozen, alcoholic drinks that come pre-packaged and pre-mixed. All you have to do is freeze, partially thaw, and enjoy. You can even drink them straight from the pouch. I haven’t tried all of their flavors yet, but Frozen Lemonade, Peach Daiquiri, and Margarita are big hits here. After we had our red carpet ready snacks, it was time to settle in for a great movie. Sometimes movie selection is hard, but we opted to watch the night’s showing of Schindler’s List. Directed by Steven Spielberg, Schindler’s List tells the story of Oskar Schnidler, a man who at first was simply trying to make a lot of money during World War II, but ended becoming a hero to the over 1,000 Polish-Jewish survivors whom he saved by employing them in his factory. This truly is a touching movie that provided a glimpse into the many sufferings, and the few victories, of that difficult time. 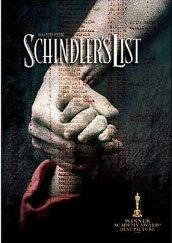 Schindler’s List deservedly (in my opinion) won 7 Oscars in 1994. If you’re ready to get Red Carpet Ready, make sure you join Daily’s Cocktails and Wholly Guacamole for an awesome Twittery Party on Oscar Night! Follow @DailysCocktails and @EatWholly starting at 7PM EST to talk Red Carpet. Make sure you use hashtags #Oscars and #RedCarpetReady so you don’t miss the action! One winner will receive a Wholly Guacamole and Daily’s Cocktails prize pack which includes Wholly Guacamole and Wholly Salsa products, a $20 Walmart gift card to pick up your favorite Daily’s Cocktails Pouches, and a few other goodies for you to enjoy! Great movies demand that you snack on popcorn!! I love snacking on white cheddar popcorn! Favorite movie – Argo, snack: chips and salad. Thanks! To tell you the truth, I haven’t seen any of this year’s movies (we don’t go to the movie theater) but one of my favorites from the past is Annie Hall. Snack would be doritos or chips and salsa. Popcorn is my fave movie snack. My favorite Oscar winning moving is Argo. Spinach Dip is my favorite movie snack! My favorite movie snacks are pizza and chips and dip! Gotta go with popcorn, it is a classic for a reason! I didn’t see any of the movies that were noninated. My fave is buttered popcorn! Melted Cheese nachos with all the fixings! I really like my popcorn! I have always liked Forest Gump. My favorite movie food is popcorn and a Cherry Coke! Movie snacks – gotta have my popcorn! I love popcorn and Raisinets together as a movie snack. thanks for the giveaway. i loved the oscars last night. Silver Linings Playbook. My favorite snack would probably be chips and salsa/guacamole! Argo is my favorite so far! I only saw beasts of the southern wild, I wish it had won. Lincoln was my favorite Oscar-nominated movie! My Favorite Movie Snack Is Sour Patch Kids. I am a huge popcorn lover for movies! my favorite snack for watching movies is rotel dip and tortilla chips! my favorite snack is chips and cheese or something sweet. My favorite snack for watching movies is popcorn. I watched ARgo only this year around. 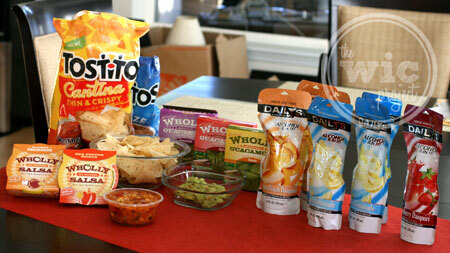 Argo sounds like a great movie and it’s’s hard to beat chips and Wholly Guacamole salsa and guacamole for snacks! Our favorite oscar movie would be LIfe of Pi.. oh that was SO good. Loved the book the movie was perfect. We like to eat Brie, crackers and raspberry jelly on top as a movie snack! I love popcorn as a movie snack. My favorite movie snack is Honey mustard pretzels !! I liked the movie Lincoln. My favorite Oscar best picture winner was “The King’s Speech”. My favorite movie snack is popcorn with M&M’s in it! Buttered Popcorn is my favorite movie snack! I did not watch the Oscars so I don’t know who won, but I love tortilla chips with cheddar cheese sauce as a movie snack! mmm!!! My favorite oscar winning movie was Brave. My favorite movie snack is buttered popcorn; not the healthiest choice, but so good! The only one I’ve seen is Flight and I really enjoyed it. Thank you! I like snacking on cheese cubes. Popcorn! Thanks for the chance to win! I love good movie theater popcorn with butter. At home, it’s Pop Secret Homestyle popcorn. Forrest Gump is my all-time favorite movie. Pay It Forward will always be memorable. I love popcorn at the theatre, but at home I like to eat steamed edamame with sea salt! Popcorn and Flight. What more could you ask for. Favorite Movie snack popcorn and pretzel bites with cheese dip. Tootsie Roll DOTS is my go to movie treat. This year it was definitely Argo. Since that event happened before I was born the whole movie was very suspenseful! Popcorn with butter is my favorite movie snack! I’m not sure if it was a winner or not, but I was rooting for Beasts of the Southern Wild! My favorite movie snack is chips and queso! I love fresh popped popcorn. My fave snack at the movies is nachos. Soft pretzel with cheese, or nachos. Popcorn mixed with milk duds. I love movie theater pop corn. There is nothing like movie theater popcorn and I don’t even want to know why it is so good because I would probably have a heart attack just knowing. I have not seen any of the movies so I would have to say my favorite snack is popcorn! One of the best ever is One Flew Over the Cuckco’s Nest. I enjoyed Life of PI. I love Buttered Popcorn Jelly Bellies while watching a film! Best snacks is popcorn with chocolate shakes! My favorite movie snack at home is nachos. I usually just have a soda at the theater. One of my favorite nominated movies this year was Silver Linings Playbook. And I love cookie dough bites as a movie snack. For this year it was Argo, but my all time favorite is Lord of the Rings! I was hoping Argo would win this year. Argo was my favorite oscar movie this year. I haven’t seen any of the movies that were nominated this year but I love buttered popcorn! I always enjoy popcorn with my movies. I loved les mis…and you have to have popcorn at the movies!!! When I go to the movies my favorite snack is popcorn! I love eating cookie dough bites at the movies! Popcorn is my favorite movie snack. Tried Daily’s Cocktails and they are delicious. I would recommend them to anyone. My favorite snack is popcorn, watching any and all movies. My fave is Chips and Dip! Love candy as a movie snack! I love ice cream with my movie! Popcorn is the traditional movie snack! One of my favorite movies is Life is Beautiful. My favorite snack is chips with salsa and guacamole. Thanks for the chance! Favorite movie snack is popcorn with extreme amounts of butter. Popcorn with lots of butter…………..
One of my favorite snacks ever is palm hearts. Yup. I’m a weirdo. But they’re delicious! My favorite movie snack is Combos. I love making stuffed mushrooms. Yum! lots of popcorn and soda! Got to have buttery popcorn with ur movies..
My favorite movie snack is spinach dip. my favorite movie snack is baked lays potato chips. We love movie theater popcorn. I like velveeta and rotel cheese dip for a movie snack! popcorn and sno caps are the best movie snacks. I really liked the movie Lincoln, even though it didn’t win best picture. my snack hands down is popcorn! One of my favorite movie snacks is nachos!! I love really good popcorn during movies. I always make a cheese and cracker tray! My favorite movie is Argo. I like nachos with cheese and jalapenos and of course popcorn.